Today's flash freebie is my Story Element Posters and Bookmarks. 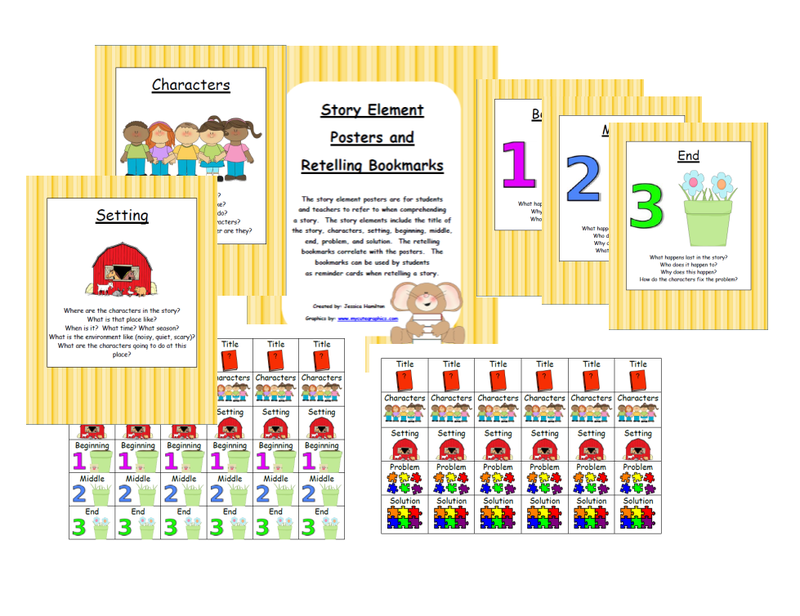 This set includes posters and bookmarks for students to refer to when comprehending a story. It is also great to use for retelling practice!